The “Leaders Package” is once again on sale at EmpireKred (formerly Empire Avenue) and is being touted as a chance to network with people in the busiest community on EmpireKred. Entry is barred into the leaders community (forum) unless you buy this package. Why would you not want to buy it? Because of who is in that community. 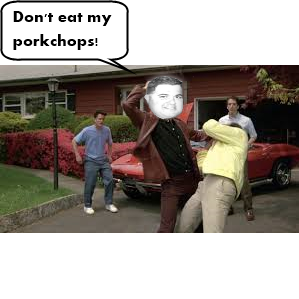 Chris Sandys has been moderated by twitter for non violent threats to a customer of Empire Avenue. Gareth Davies has been moderated by twitter for violent threats and tweeting the private information of a customer of Empire Avenue’s. 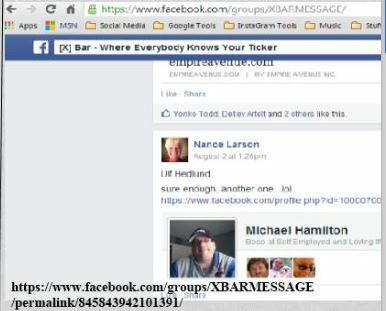 Nance Larson participated in the doxing of a customer of Empire Avenue’s. Keith Gill promoted falsehoods through Empire Avenue’s mission system and has been moderated by Instagram for cyberbullying and had his twitter account locked. Steven Krohn abuses women on Facebook according to more than 1 woman. These are the people you can network with if you buy their Leaders package. Do you wish for such an association? 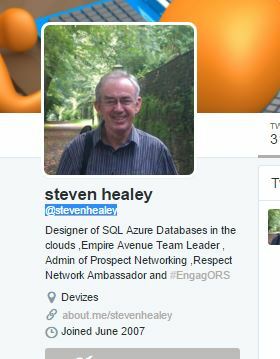 Once has to carefully consider what constitutes an active player to Team Leader Steven Healey. 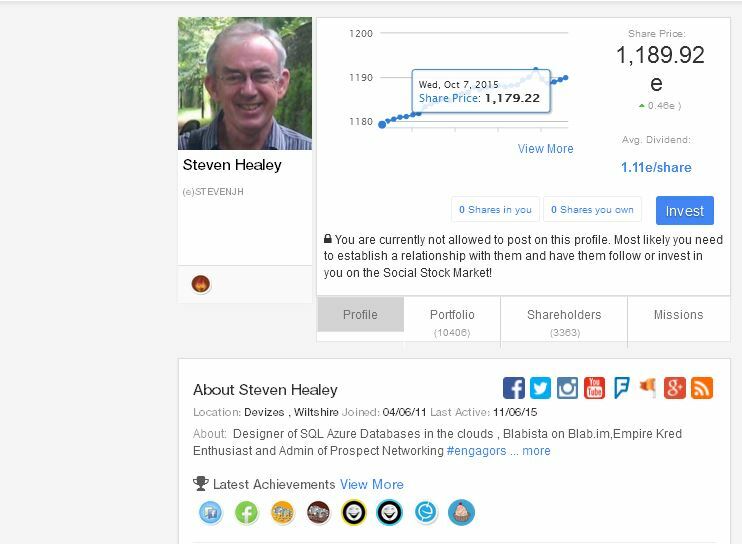 Given the fact that late last year Empire Avenue was down to 276 relatively active accounts (Based on network score on EmpireAvenue) , and the fact that many people control multiple accounts it seems likely that Team Leader Steven Healey’s claims are somewhat inflated. 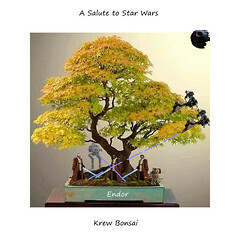 A careful look at the EmpireKred “Welcome Wagon” forum that is run by staff of EmpireKred reveals many accounts that look to be connected with similar naming convention and graphics style of icon. 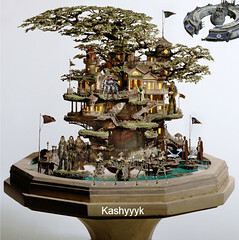 How many individual active players does EmpireKred actually have? But 5000 unique indiviuals seems dubious at best. It is also noted that Mr. Healey doesn’t disclose his being a Team Leader with EmpireKred in the video. From Mr. Healey’s LinkedIn profile. He does indicate that he and Skip Bieber are moderators. Skip Bieber is listed as an “Admin” on the Tactics and Tech Forum, 1 of the 2 official forums that is run by Staff of EmpireKred according to information available on the site. 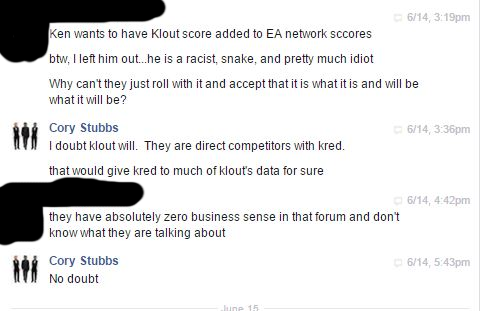 He does disclose EmpireKred was bought out by Kred as they discuss Klout with Empire Avenue Leader Skip Bieber. Mr. Healey’s claims take place at 5:53. 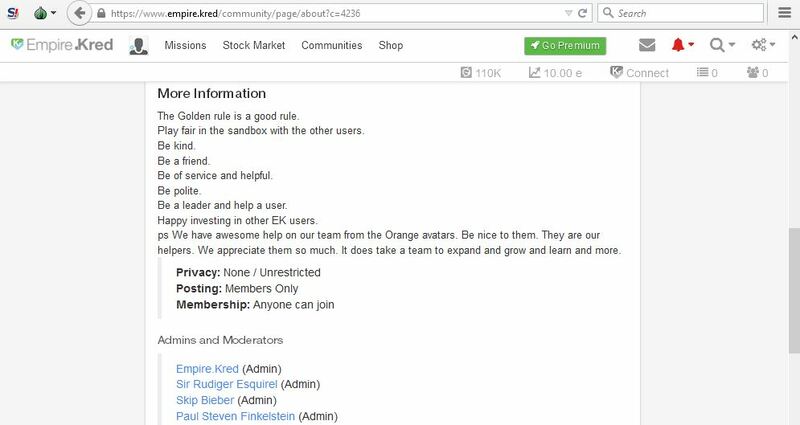 EmpireKred is not transparent and does not make this information known. 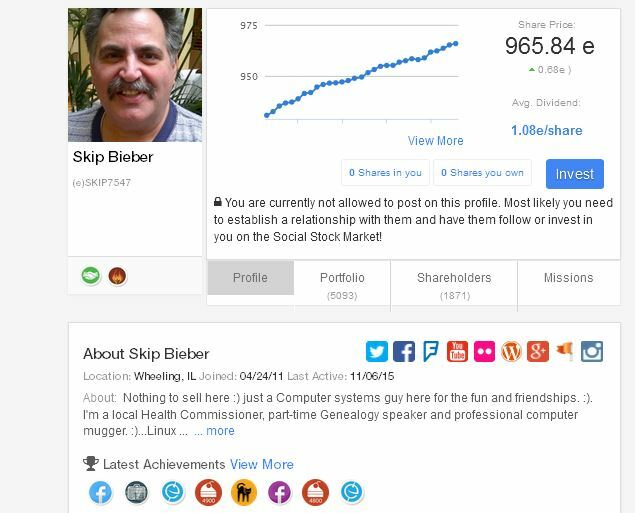 Skip Bieber on EmpireKred with Leader badge on profile. 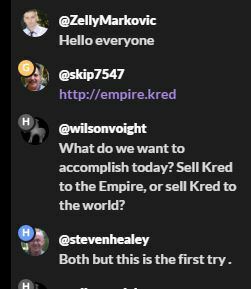 Nothing to sell, Except for EmpireKred and Kred on Blab? In other news Linked.In is no longer available as a network score on Klout. We not that Empire Avenue leaders such as Keith Gill were failing to disclose their association with Empire Aveue subsequent to it being bought out by EmpireKred and promoting Kred to competitor Klouts detriment without disclosing their relationship with Kred (PeopleBrowsr). Tis a shame when people do not disclose their associations as required by FTC requirements and we hope Keith Gill does so in future when promoting material associated with EmpireKred or the other .dotKred stable of companies. Be Real! Disclose your associations. Linked.In is a serious, professional website for professionals, not spammers and trolls, I think. One way trolls operate is simply to ignore everything you say, drop context, go off on tangents and proceed without any available evidence, logic or ability to comprehend available evidence. According to Michael Q. Todd, also a leader of EmpireKred, Gareth Davies (@me_gareth) is one such troll. A sparkling example of this is well known cyberbully, troll and leader of EmpireKred, Gareth Davies. The day started off as I was minding my own business, having noted the day before or so that people had maliciously bought me twitter followers. I blogged about the fake followers suddenly appearing on 10/24/2015. And tweeted to Twitter to advise them. Someone just bought me a shitload of fake followers. @policy @safety @jack @support Can they be mass deleted? Or do I do it 1 at a time? This is a pathetic, but well known type of petty harassment that trolls and bullies use to try to damage reputations. It remains viable on Twitter because of the sheer number of fake accounts Twitter allows, along with spam accounts like Keith’s. 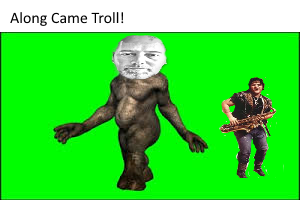 This troll happens to have a sax soloist accompanying him. And tried to launch a vicious trollio attack! Gareth tries to be trolly, but his lies and silly lack of reason just make it sad. Needless to say my blogs about him are as truthful as I can make them. It’s sad that a man that has been suspended by twitter for doxing and violent threats remains able to tweet on twitter, but he does so. So he lies, blusters, and generally waves his hands about angrily with no real effect. His well known troll friend Keith Gill, AKA DigitalKeith joined in, but soon left since he had no idea what was going on (a usual state of affairs for Mr. Gill, I believe). @WanderinPoet So if Twitter changed policy because of me, riddle me this why am i still here? This last tweet from this blowhard is actually a very, very good question. Why can a person who exhibits no rational ability to hold a conversation to me blunder about Twitter harassing people? Keith Gill is also a troll, and has been moderated by Instagram for cyberbullying. 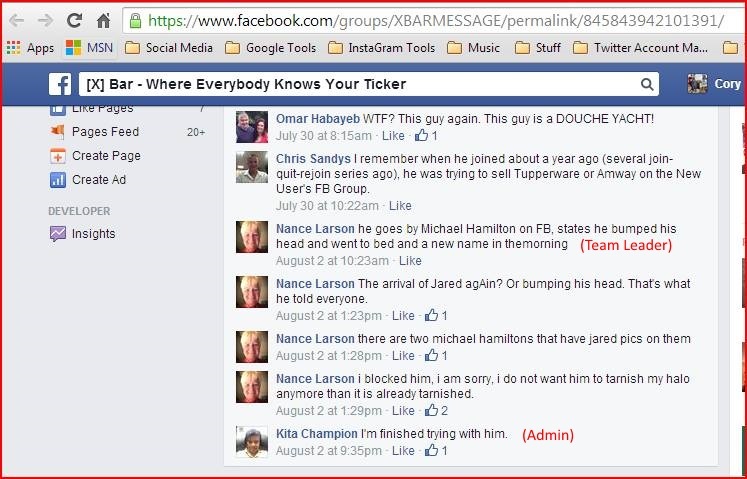 EmpireKred staff Nance Larson has deleted her blog as a result of this blogging investigation. It should be obvious to any casual observer that Nance Larson potentially violates copyright as she’s a major, major plagiarist and spammer on her WordPress blog. She frequently posts materials lifted from books and other sources, online or not, and posts them uncited to her WordPress blog. The following blogs were checked on Small Tools SEO Plagiarism Checker. All blogs checked come up as plagiarized according to the tool. When one of the “goon squad” accounts was using artwork, Nance argued against my copyright which is DMCA compliant. DMCA, as in Digital Management Compliance Act. This is how vindictive this woman is. 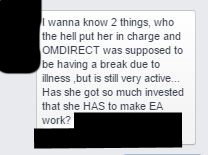 This woman who the admins bend and break the rules for and allow to attack the customers. I have posted my copyright here, and everywhere I have filed notifications has honored it. Only once in 10 filings or so, has a social media site, Facebook, refused my DCMA claim. The Facebook copyright team did did discuss their reasons at length with me and their reasons were legally acceptable to me. Nance Larson, in arguing against a copyright available online from Creative Commons, argues against well settled law that underpins the digital economy and intellectual property. And she’s carried out a vendetta against Empire Avenue customer for 3 years. And attacked any other that even asked what on earth was going on in that abusive place. Staff Nance Larson, Chief Goon, of the “goon squad”, I believe. 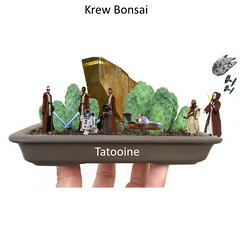 It’s impossible to me to believe she’s acceptable as a potted plant, much less a member of staff at Empire Avenue. But she is on staff. She’s an utter failure of leadership, and would be a major embarrassment at any legitimately run company. Nance Larson, on Staff at a social media business wants to violate copyrights. EmpireKred themselves claim to prohibit such violations of copyright, clearly the rules don’t apply to Staff Nance Larson. Man do these so called leaders at Empire Avenue (Now #EmpireKred)love to spread lies, hate, bile, filth, more lies, falsehoods and complete and utter fabrications. Such is the case with Omar Habayeb, AKA @omarthedataman. Omar claims to have written a social media policy for Harrison College, but if this is what they do, and what he teaches, run away screaming from that “for profit” “educational” facility. @LQQKATTHIS What is going to "flip the switch" in Cory Stubbs that might have him shoot up a Fresno, CA movie theater or elementary school? 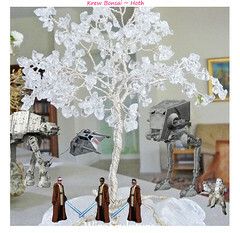 @LQQKATTHIS The aspect and propensity for violence is what scares me the most. Having nothing worse than a traffic ticket on my record makes Omar Habayeb a slimeball of epic proportions, attacking a fellow customer of Empire Avenue’s who reported cyberbullying and ended up being cyberbullied in return. So let’s speculate about Omar. Getting in between Omar and his food! 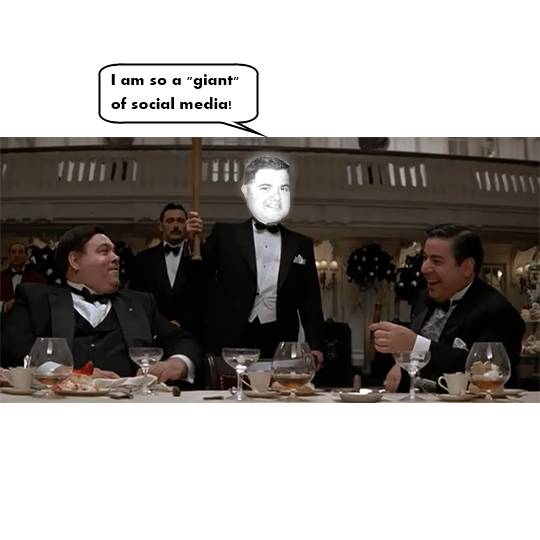 Questioning Al’s social media credentials. 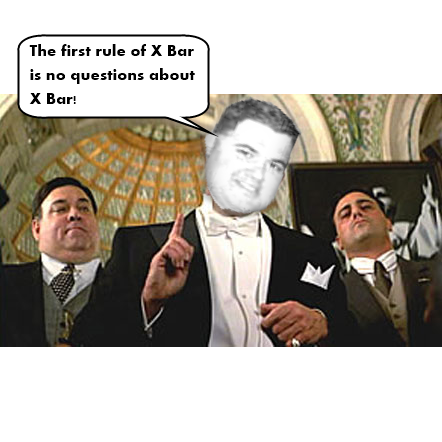 Wondering why the X Bar Facebook community, comprised of Empire Avenue Brand Managers, Team Leaders, Leaders and staff is used by some of the people to attack others and refer them to Ulf Hedlund for whatever it is he does to the unsuspecting customes. 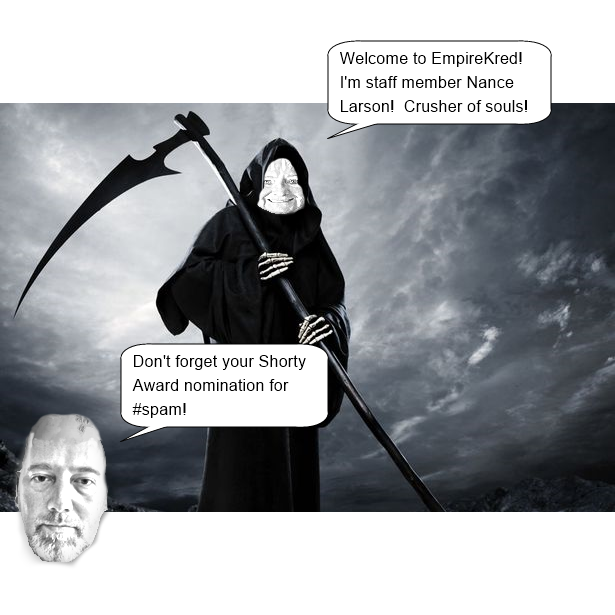 Nance Larson, on staff at EmpireKred has conducted a vicious vendetta against Michael Q. Todd in the Empire Avenue forums for 3 years according to Michael Q. Todd. This seems to be confirmed by Leader Gareth Davies, who notes a 3 year fight that Gareth Davies also conducted in the Empire Avenue forums and on Twitter. That some players (leader actually) are able to bully and attacks others in the forums is a major problem. “The other side” didn’t present their facts when asked. 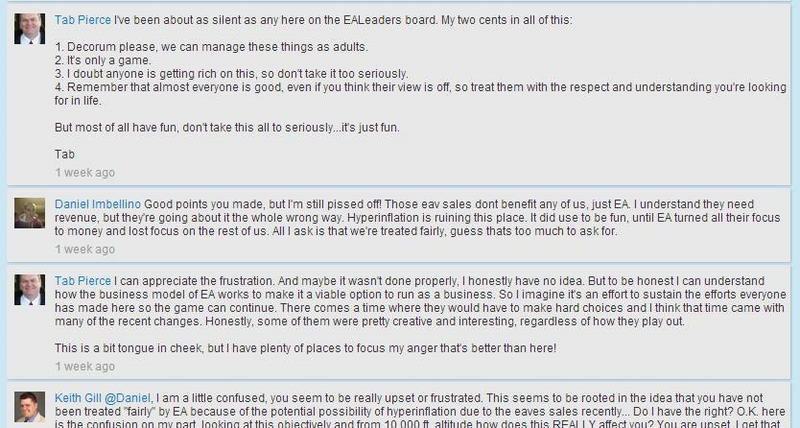 I should note that I didn’t have a side, I reported bullying by what I knew to be empire avenue customers against other customers in the forums. I was then bullied in turn by Nance Larson, Chris Sandys and Gareth Davies on Twitter, with Keith Gill joining in later. 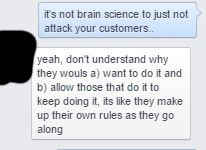 I remain astounded that Empire Avenue support refused to stop their leaders from attacking their own customers. That Empire Avenue admins, that according to Alan Blaze hate their players, and rewrite the rules on the spot to allow Nance Larson to attack people is the problem at Empire Kred. Their customer service is atrocious. There clearly are unstated rules in place that condone Nance Larson attacking her own customers. Their vendettas that then take place on Twitter ridiculous. 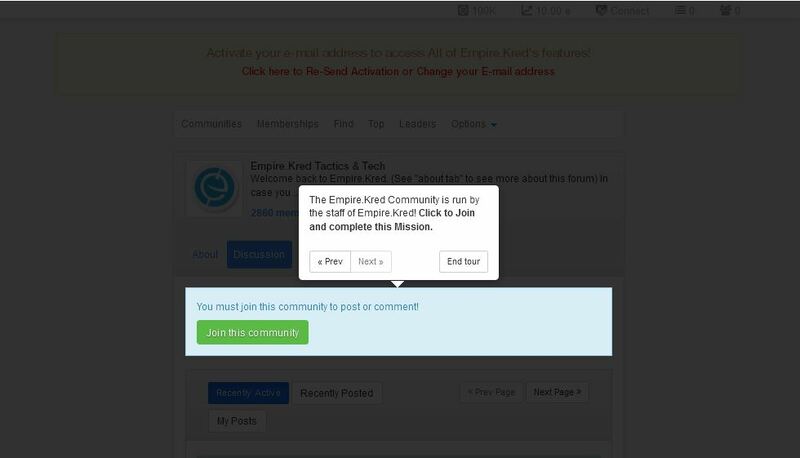 If you want to be attacked in social media by a company you are a customer of, give EmpireKred a try. 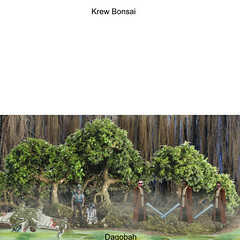 Until this leadership team is removed, avoid EmpireKred at all costs. 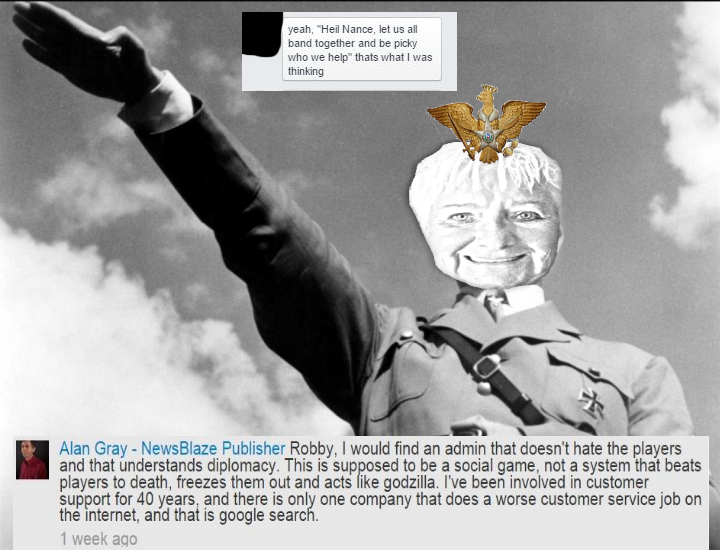 EmpireKred inherited a business that according to Alan Gray, Publisher of NewsBlaze, provided the second worst customer service on the internet that he’s seen in 40 years. So what’s really going on under the hood at Empire.Kred? 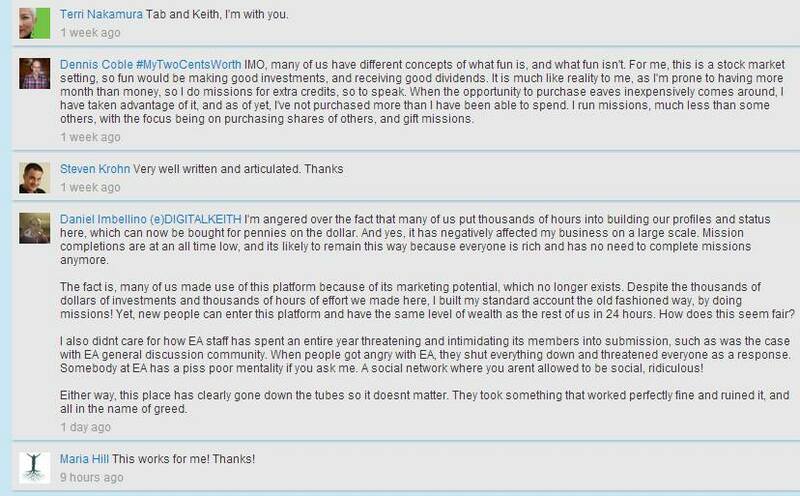 Even after Kred made the purchase customers still describe the takeover by Kred as “Creepy” and continue to report seeing cyberbullying on the site. 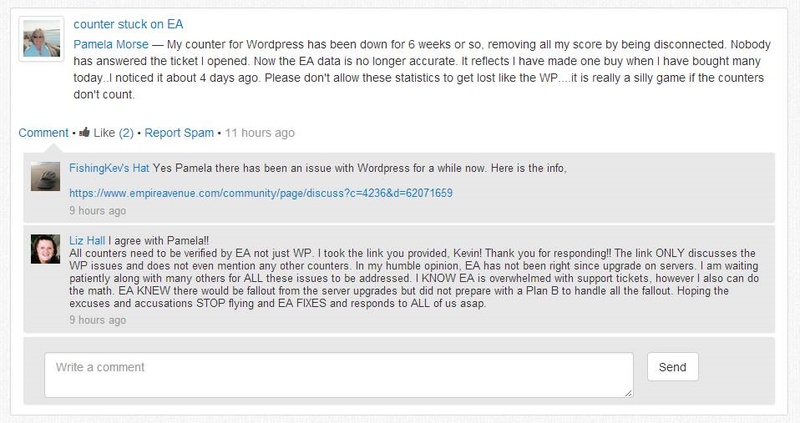 What do customers have to say about the customer service in the forums themselves? What do customers say privately? All signs point to no. At this point even Nance Larson can’t get customer service and complains about it in the forums. Nance just can’t help being a liar I guess. 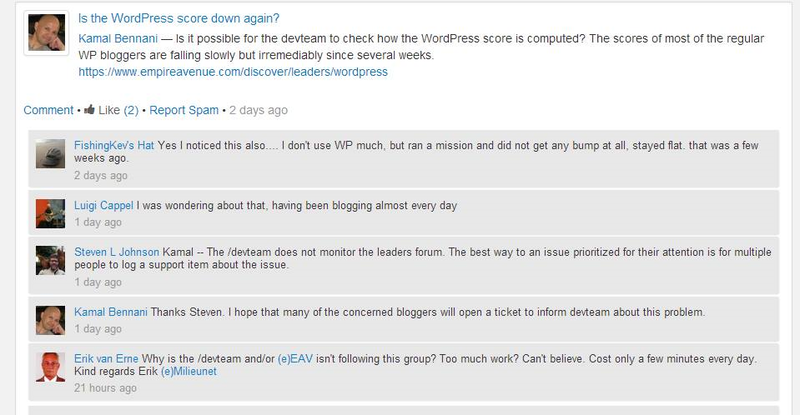 I started blogging about Empire Avenue well before they went into financial duress, sold the leaders package and allowed Nance to abuse whomever she wanted in the forums. 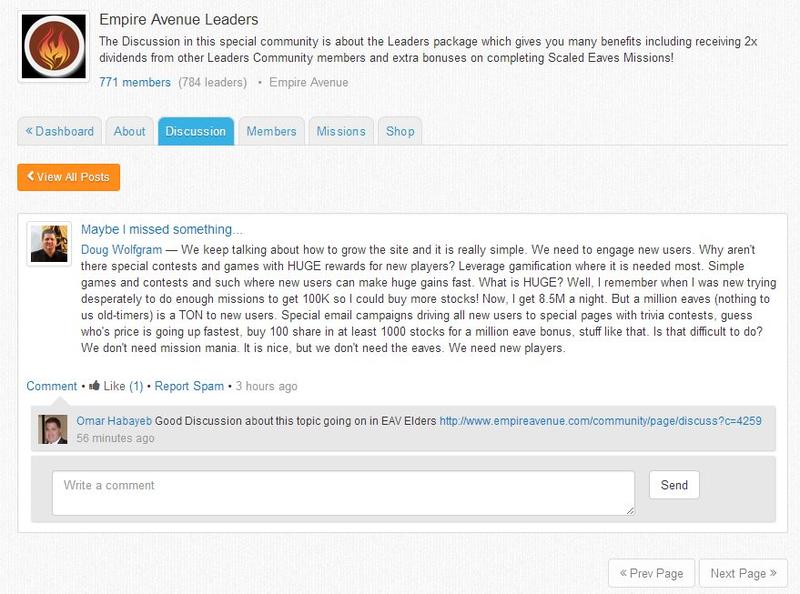 Imagine, accusing someone of “mission abuse” because they are concerned about false advertisinng being promoted through Empire Avenue’s “missions” system. It’s horrible she’s on Staff. I don’t even know who this person Nance is talking about is. I do know many are scared to speak up, because Nance and the other “goons” are abusive. 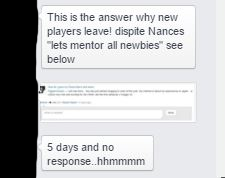 I think most of social media knows that Nance attacks people and stays away. Many of The Poets followers play https://t.co/FnAMgnljM8 and are happy. He talks trash about them because he was banned. Go figure.